Enter the IMEI of your phone and put that 40 characters in the HASH field. Your phone will be unlocked guaranteed following the time of this tool. 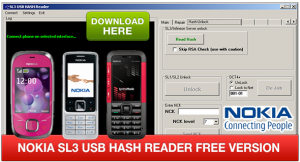 -BB5 SL1/SL2 unlock by NCK and RPL.